Corelis is a world leader in the field of IEEE-1149.1 boundary-scan testing, In-System-Programming (ISP) of Flash memories and CPLDs, JTAG embedded testing, microprocessor development tools, and test instruments. Corelis' ScanExpress™ boundary-scan products offer complete test and verification solutions for prototype debug, production manufacturing, and In-System Programming of CPLDs and Flash memories. 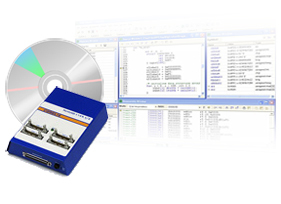 Corelis’ bus analyzer and exerciser products offer unparalleled analysis, test, and debug capabilities for product development, system integration, and manufacturing of circuit board assemblies. Corelis offers the CodeRunner-RAD750/NetUSB/E JTAG Emulator for the BAE Systems RAD750 processor. The emulator consists of a USB 2.0 LAN-based Emulator and includes a NETUSB-1149.1/E JTAG controller (4 TAPs), TAP cable, CodeRunner Windows compatible debug software, manual, and security key. Blackhawk is a leader in the design of hardware and software development tools for Texas Instruments DSP platforms. Blackhawk was the first to develop a USB to JTAG emulator for Texas Instruments XDS510 class devices. The next generation Blackhawk USB560 JTAG Emulator supports all of the latest TI devices and is also compatible with Corelis’ ScanExpress™ software suite. Please sign in or register to access Corelis datasheets. Once you have access, you will be able to freely browse www.corelis.com and download any material that you might be interested in. Thank you for your interest in Corelis.